Some hope is much needed at the moment. Many days the world can appear in utter chaos. And here at home our nation struggles with deep political divisions: we witness attacks on LGBTQ rights, we watch authorities separating children from immigrant parents, we hear politicians raising serious doubts about news accounts that are highly accurate. And much more. It's easy to wonder if there are as many good people as in the past, the folks who are truly focused on making our society more compassionate and just. There are. That's the good news -- and yes, you can believe us. 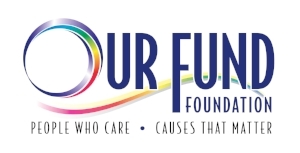 A case in point is the amazing LGBTQ community foundation, Our Fund. This fine organization works daily to get adequate funding for important causes that benefit the LGBTQ community. These causes include the Humanity Project. Our Antibullying Through The Arts and Humanity Club programs directly help LGBTQ youth by preventing bullying in and out of school. You see, LGBTQ youth are disproportionately bullied, far more as a group than most other populations of kids. And this emotional and physical violence has an enormous effect on those children later in life, as studies repeatedly have shown. Our Fund's great CEO, David Jobin, and his talented team are working with the Humanity Project to help change this situation, improving life for many LGBTQ youth. Indeed Our Fund is among the Humanity Project's major sponsors and just renewed its commitment to our kids through a generous new grant. We are deeply grateful! Because we cooperate so closely with Our Fund we know how dedicated this community foundation is to causes that matter, finding significant financial support for those causes from people who care about a better world. We are, as always, honored to be part of the Our Fund family -- a remarkable group of agencies, staffers, volunteers and philanthropists. We hope you may consider joining all of us. Our Fund is, truly, a cause for hope. The butterfly seems a good place to begin ... The transition, the transformation from caterpillar to butterfly has represented many inspiring things to many people over the centuries. At the Humanity Project, we think it's a fine symbol of the transgender experience ... as it ought to be: Human beings changing for the better, finding ways to be more of who they are. Unfortunately, it's rarely that easy and uncomplicated. The Transgender Experience is our latest podcast and we encourage you to listen. We talk with Tatiana Williams and Arianna Lint, two transgender women who also are community activists -- and the discussion about the challenges of transgender life is frank, wide-ranging and moving. It's all part of the Humanity Project's mission to create programs and materials that advance our core values of respect, diversity and self-worth. Please take the time to learn more about the transgender experience by going to our podcast page and listening: Go to the Humanity Project Podcast. Donate to the Humanity project. Help us help them! This website and all materials on it are copyrighted by the Humanity Project®.